Guests want to customize their world. That means creating signage information so they can do their own wayfinding and discover adventures specifically for their taste. Touchscreens are perfect for this. They draw guests in and let them interact with the display to obtain only the information that is important to them. A well-designed display is easy to understand so guests can quickly find what they need. The display’s format and colors should complement the property’s interior design and conform to brand standards to create a harmonious experience. Relevant, updated signage content drives guest engagement. 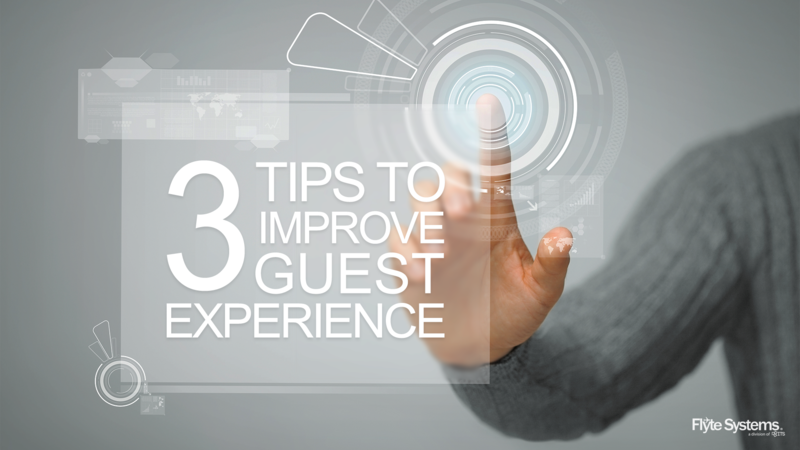 If you take time to develop interesting, timely information that is relevant to your guests’ activities it will enrich their experience and add value to their stay. Plus, when guests are fully engaged they are open to more information including property promotions and local advertising. Guests engage with digital signage content that speaks to their interests and anticipates their desire for information on local attractions, wayfinding, travel options, and property promotions. An engaged guest who gets value from the property’s display often acts on their sense of wellbeing and gratitude by acting on property outlet marketing and promotions. This creates a win-win where guests and the hotel each benefit.